Are you fed up with wasting time and money on foil and leaky pans when baking in a waterbath? We have the perfect solution for you. Perfect Cheesecake Bakeware is a leak proof baking pan made of 100% food grade silicone and a special material which enables heat to transfer just as effectively as aluminum foil, but without the fuss and wasted expense of foil. Absolutely no leaks, which saves time, money and frustration. This easy-to-use pan protector bakes with 9 inch, 8 inch or 7 inch standard round springform pans, and has two handles for safe lifting and carrying. Our patented silicone pan protector is reusable and dishwasher safe. Simply click “add to cart,” to take advantage of the amazing benefits of using Perfect Cheesecake Bakeware. 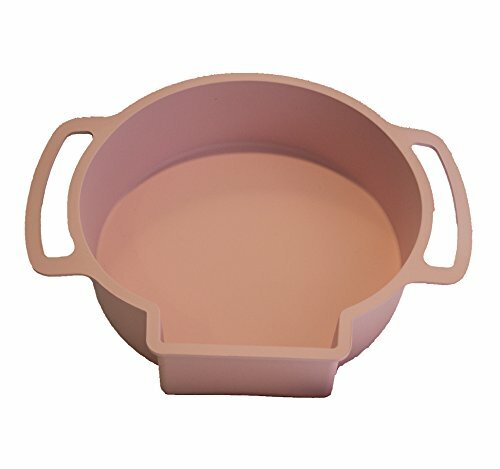 You will wonder why you haven't add our bakeware to your kitchen supplies sooner! If you have any questions about this product by Perfect Cheesecake Bakeware, contact us by completing and submitting the form below. If you are looking for a specif part number, please include it with your message.